Secret plan to kill Wikileaks with FUD leaked ! Three security consulting firm with links to intelligence agencies of the United States to cook up to dirty tricks campaign late last year in favor of Wikileaks to destroy its perceived weaknesses, reads the draft published in the organization of information 'which claimed to be from the conspirators. Around December 3 was believed to be a consultant for defense contractors in the United States palantíri Technologies, Technology Berico HBGary and suggested lawyers desperate Bank of America union, which would ruin the site informants' uses a divide and conquer approach. 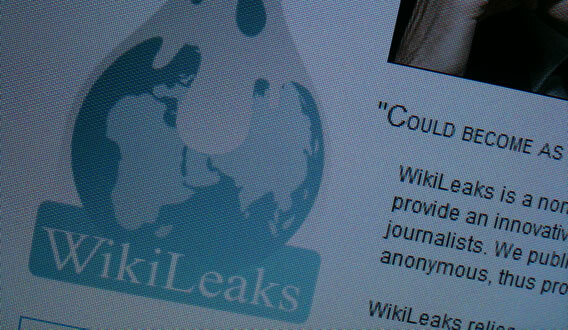 The conspirators called a war of disinformation to "feed the confrontation between groups of fuel, which include a loss of false documents" call failed ", the creation of" concern for the safety of the infrastructure, "Wikileaks hackers to discover that respondents were to kill the project "and a media campaign to highlight the" radical and irresponsible nature of Wikileaks. The threat Wikileaks exposed in a report targeted individuals Tech Herald, including journalists, constitutional lawyer and outspoken critic of the Government of the United States Glenn Greenwald and Jacob Appelbaum Tor project special attention. He called on organizations to use social media to actively spy leaks and also the delicate state finances Wikileaks. SC Magazine understands the document was in the hands of anonymous supporters Wikileaks after a successful raid HBGary, which recently saw its secrets scattered Twittersphere. Since the plan was hatched, disgruntled volunteers listed in PDF and broken Wikileaks whistleblower has proposed alternative sites (which are not yet built), the preferred financial services institutions, Appelbaum was harassed by U.S. authorities and the Amazon refused to serve Wikileaks' website. "Wikileaks can not be healthy situation at the moment. The weakness of the [sic] causing great stress on the organization that can be activated," wrote the conspirators. The document refers to the Attorney General of Australia, Robert McClelland, a prominent place in Wikileaks founder Julian Assange bio. "McClelland did not foreclose the possibility of cancellation of the Australian passport Assange authorities, and warned he could be charged, he must return to Australia because of" potential number of criminal laws that could be contrary to the liberation of [U.S. diplomatic] cable, "the document read. McClelland, who also oversaw the Australian Government Computer Emergency Response Team CERT Australia, said that from Wikileaks and Assange has broken no Australian law. The presentation, which reads in a right battle plan and the proposed marketing plan the futility of what he proposed to give the end that "the traditional response will fail." "In the new era of mass social media insider threats are a constant threat and continues, even if Wikileaks is shut down."